This recipe is one of the most amazing recipe if you try it word by word. It is actually very stunning n spicey vegetable mix which surprises the diner. 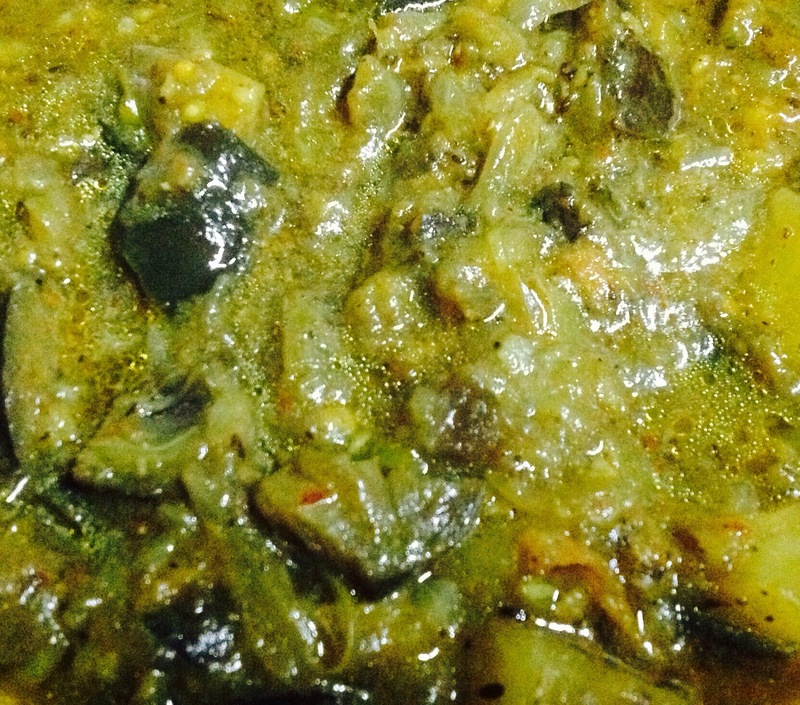 This is a finest combination of brinjal potatoes with rich blend of several spices. 1- Heat oil in cooker on high flame than lower the flame. 2- One by one put all ingredients of 7 no. point and mix well.Saute for two minutes. 3- Now add all things of 5 no.s point and start sauteeing it very well than cover the cooker with lid. 4- You need to cook n fry it for 10-15 minutes on lowest flame. 5- Now add the 3 no. past into it and fry again for 2-3 minutes on low flame. 6- Add chopped brinjal n potatoes to this mix alongwith 1 cup water. Close the cooker lid. 7- On high one whistle and 3-4 whistles on lowest flames. Close the flame. 8- Garnish it with juliens of fresh ginger and corriander leaves. Tastes great with hot chapati(crisp fulka) .